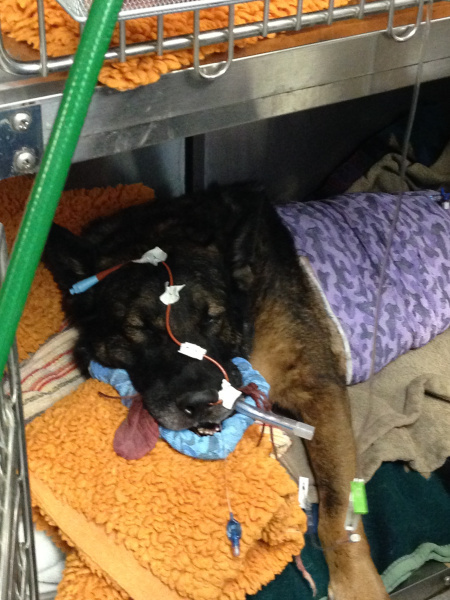 After being shot in the face, Anaheim police K-9 officer Bruno returned to his handler, whimpered once and wanted to return to the action. Even as his handler raced him to the hospital, Bruno’s ears were up and he didn’t want to lie down, police officials said. “He saved at least one life yesterday,” said Police Capt. Ben Hittesdorf Friday morning during a briefing of the Chief’s Advisory Board. Police identified the man who shot the dog as Robert Andrew Moreno, 21, an Orange gang member who was released from prison 10 days ago. His rap sheet includes auto theft, narcotics violations and assault on a custodial officer, officials said. He was killed Thursday when officers returned fire.